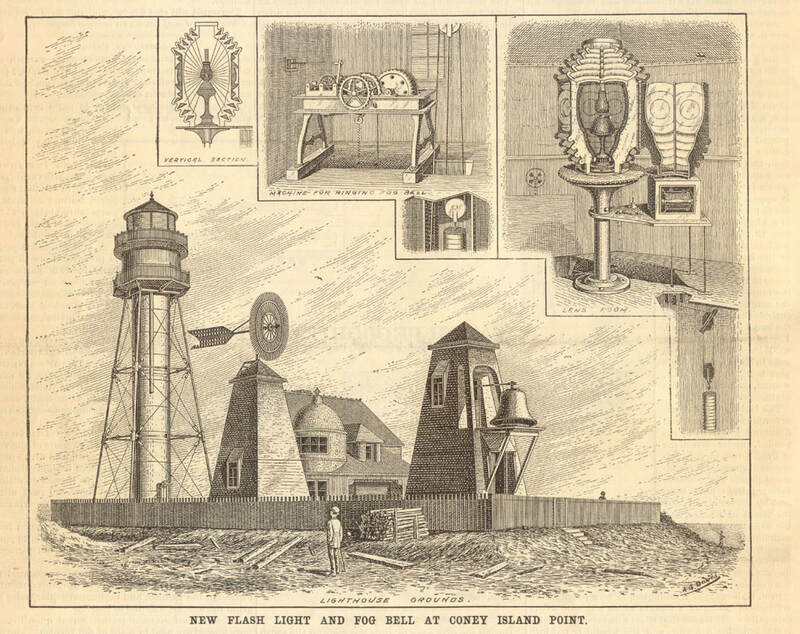 (above) Scientific American magazine - september 5, 1891 - "new flash light and fog bell at Coney Island Point"
The Coney Island Lighthouse has a long and rich history, starting with being built in 1890. When the property was built, it took four months and cost $18,000. At the time, the storage shed was not there, but a fog bell was on the property that was rung when the fog in the area was too thick to see the lighthouse through. Throgs Neck, for example). 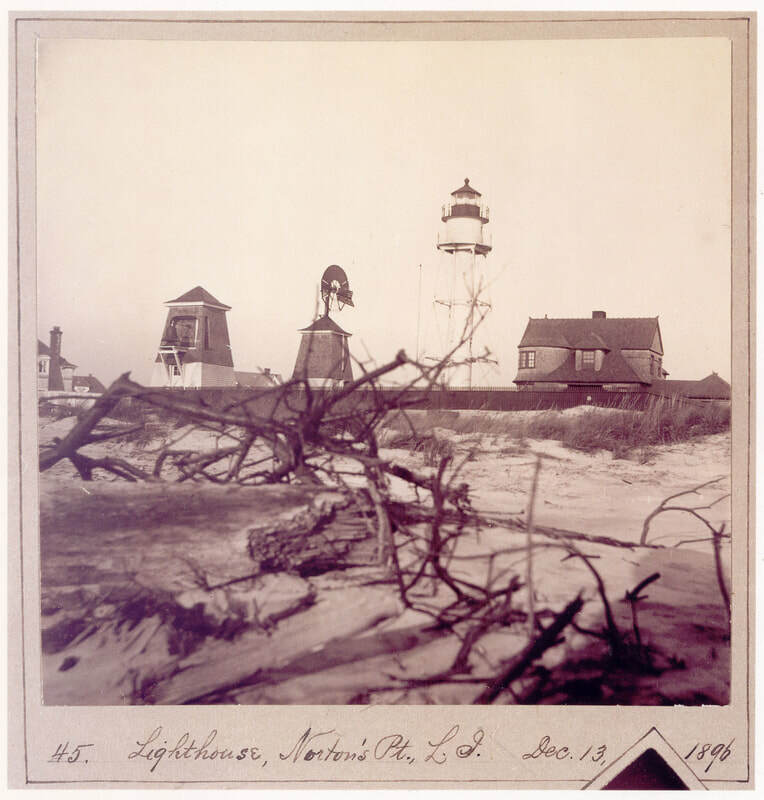 The Lighthouse was turned over to the government for activation in August of 1890 and the first keeper there was Thomas Higginbotham. Soon after Mr. Higginbotham became head keeper there, two brothers who were formerly policemen for local politician John W. McKane, joined him as assistant keepers - John Bailey and Daniel W. Bailey. Mr. Higginbotham died in a heat wave in 1910, and another keeper, Herbert Greenwood, joined the team. He watched over the waters of Coney Island until 1944 when Adrien Boisvert took over as keeper and moved in with his family, and they kept the light until my Grandfather, Frank Schubert, took over in 1960 and we moved in. During our time at the lighthouse, from 1960 until 2003, we had a mix of sleepy days and exciting adventures. 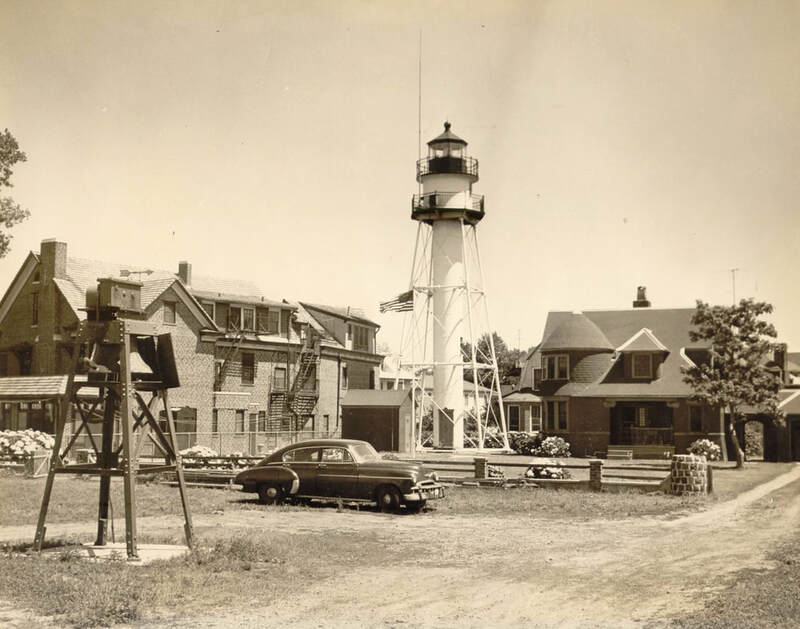 My grandparents, Frank and Marie Schubert, moved into the Coney Island Lighthouse in the summer of 1960, accompanied by their three kids, Francine, Thomas, and Kenneth. Kenneth was the youngest, and in his teens, he went with my Grandfather to Surf Lanes, the bowling alley of Coney Island. He met a girl there who was helping to work at the lunch counter with her Mother, and the boy and girl fell in love. 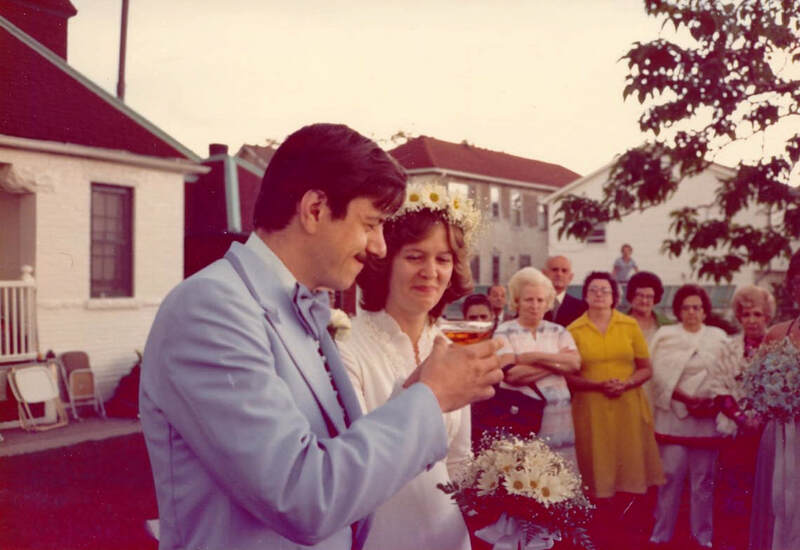 They were yet another Coney Island love story, but also became my parents, and they got married in 1977 at the Coney Island Lighthouse, on the front lawn. 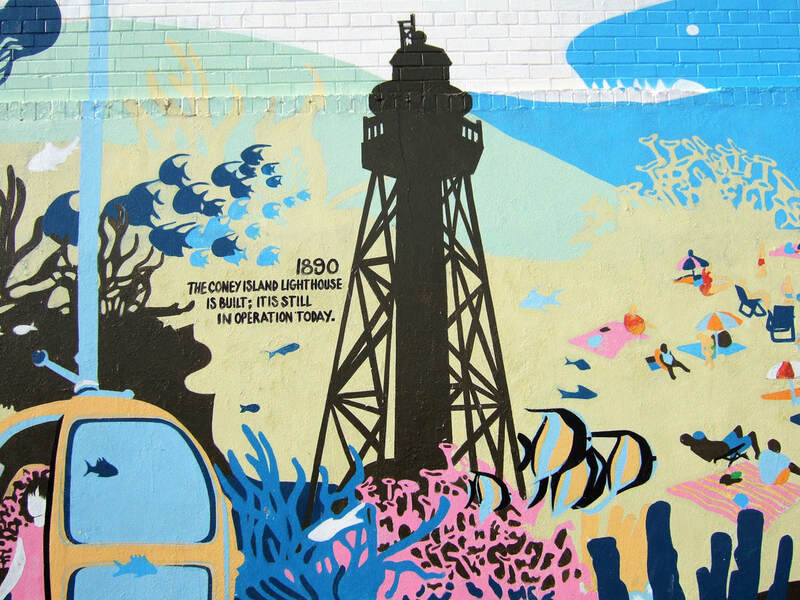 ​My family spent many years at the Coney Island Lighthouse, watching over the shores of Coney Island, keeping sailors safe and rescuing those in need. We also had a great time living there, fishing, playing on the lawn, having barbecues and sunday dinners, laughing, and living a good life. We lived at the lighthouse from 1960 until 2003, when my grandfather Frank Schubert, the last Coast Guard Civilian Lighthouse Keeper in the United States, passed away. Even though we no longer live at the Coney Island Lighthouse, we will always love it - the little Lighthouse in Coney Island that I used to simply call "Grandpa's House".